After ten years of gaining experience in gardening, I started my company Allen Landscaping in 1979. Our work covers all forms of hard and soft landscaping such as garden maintenance (gardening) and lawn mowing to turf laying, hedge cutting and tree surgery. 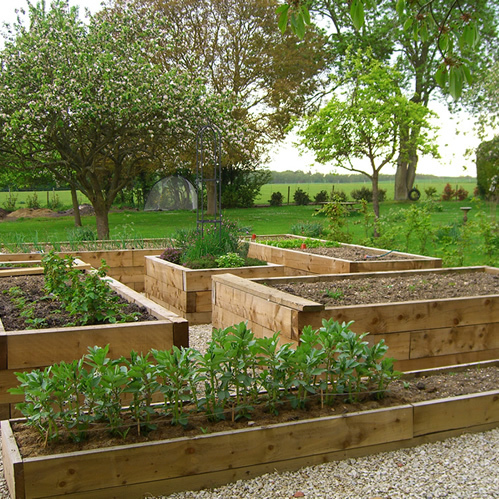 Then we have expert teams in fencing and decking along with hard landscaping such as driveways, patios and brickwork. We are friendly and hardworking garden landscapers, dedicated to creating or just maintaining the garden you deserve; whether in Henley, Marlow, Watlington, High Wycombe or anywhere in the South Oxfordshire (Oxon) Buckinghamshire (Bucks) or Berkshire (Berks) area. We use all kinds of fence design and materials, such as post and rail fences, barb wire and stock fences, larch lap panel fencing, feather edge fencing and many more. We cover Fencing in Henley, Marlow, Thame, Watlington or anywhere in the South Oxfordshire, (Oxon) Buckinghamshire (Bucks) or Berkshire (Berks) area. Our patio materials used include natural stone such as: sandstone and limestone slabs, slate patio slabs and york stone, as well as pressed paving if required. We also use various edging stone such as sandstone setts, granite cobbles and brick to finish off the patio. We lay patios in Henley, Marlow, Princes Risborough, Watlington or anywhere in the South Oxfordshire, (Oxon) Buckinghamshire (Bucks) or Berkshire (Berks). Our portfolio of drives we have created include gravel and all kinds of block paved driveway designs. We can also build both paths and car parks with herringbone block paving or again with a simple gravel finish. We lay driveways in Henley, Marlow, Watlington or anywhere in the South Oxfordshire, (Oxon) Buckinghamshire (Bucks) or Berkshire (Berks). All aspects of internal and external painting and decorating undertaken by our qualified painters. They have a wealth of experience between them, and no job is too big or too small. Their areas of work include Watlington, Thame, Benson, Henley, Marlow, Bledlow Ridge and all areas in between. If you have inside or outside painting to be done in Oxfordshire, Berkshire or Buckinghamshire then do please get in touch. We are able to create handmade tree houses to any design, or we can help with ideas to give you inspiration. See our photos to get a feel of recent builds we have undertaken over the past year. Our standard tree houses use 6 inch round poles, 4” x 2” rails with 5” wide decking boards. Trap doors, rope bridges, rope ladders, cargo nets, steps and slides can all be added to personalise it for you. Available throughout Oxfordshire, Buckinghamshire and Berkshire. Henley, High Wycombe, Marlow, Caversham, Sonning Common, Watlington, Thame, Beaconsfield, Bourne End, Chinnor, Princes Risborough, Wallingford, Nettlebed, Oxford, Wheatley, Aylesbury, Great Milton, Tetsworth, Postcombe, Aston Rowant, Kingston Blount, Bledlow Ridge, Sydenham, Radnage, Ibstone, Ickford, Hambledon, Ewelme, Great Haseley, Britwell Salome, Stokenchurch South Oxfordshire, (Oxon) Buckinghamshire (Bucks) or Berkshire (Berks).